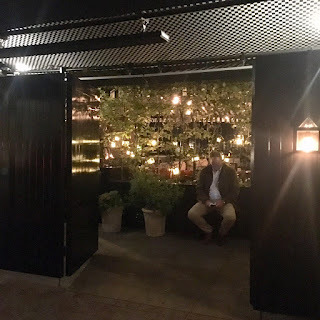 Chiltern Firehouse is a restaurant part of the Andre Balazs properties (one that owns Chateau Marmont here in LA). The chef is Nuno Mendes, a Michelin starred Portuguese chef who once worked at elBulli. And the menu, well, it consists of a mix between European and American cuisine with a modern twist. The restaurant is a scene. It's one of the trendiest spots you go to see and be seen. 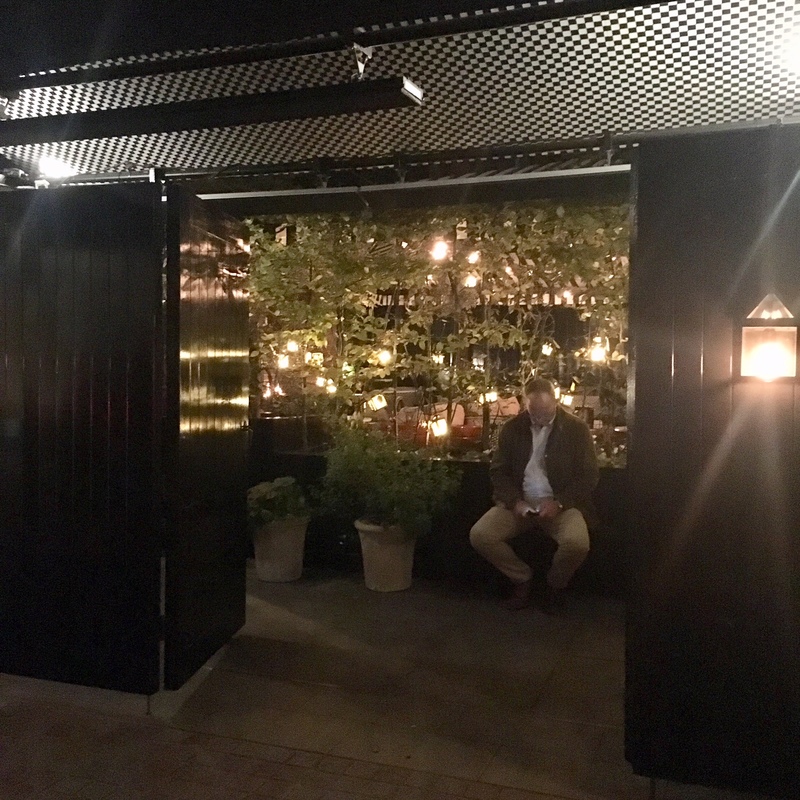 It once was a firehouse, now turned into a restaurant, with an entrance through the garage that takes you to an outdoor garden where you can dine alfresco. You get a bit lost in the place but then you walk into the very busy dining room. The place is bustling. There is a large bar area and an open kitchen that has seats situated around it. The décor is simple, with plain white brick walls. There are dim lights low enough to hide your blemishes. CRAB STUFFED DONUTS (£8.00): Wasabi and Chopped Egg. These were just ok for me. I believe this restaurant is well known for these, however, I didn't think they were mind-blowing. They were moist on the inside and crispy on the outside. The crab wasn't as prominent as I had hoped. MARKET OYSTERS (£4.50): These oysters were delicious but super expensive. I think they could be just as good at any other good seafood restaurant but I did like that they were super fresh. It was the perfect size for me (not so big or small). They were slightly sweet, which is how I like my oysters to be. MY FAVORITE DISH. CHARGRILLED IBERICO PORK (£34.00): Braised Collard Greens, Alsace Bacon and Spiced Crumb. I thought this was delicious. The pork was so moist and juicy. It was cooked to a perfect medium rare. I usually don't like pork since it tends to be overcooked, but not this. If I had pork like this all the time, I would be in heaven. There was no need for sauce. It was perfect just the way it was in its own juices. DARK CHOCOLATE TART (£10.00). Wild Rice, Cardamon Ice Cream. It was definitely chocolate-y with a very creamy ice cream. I wish there was more ice cream to counter-act the chocolate bar. It was a little too sweet and I don't say that often. The dish reminded me of the chocolate bar at Tar and Roses in LA. Overall, I thought Chiltern Firehouse was good. The service was spotty at times, but the saving grace was the Iberico Pork dish. I'm not a fan of the scene-y places, so it was just ok for me. I would have rather gone for brunch as the menu looks pretty good and I would have liked to sit al fresco in the patio. For the cost, I probably would hit up other restaurants but it's worth to check out this place once.